According to AirNow.gov, air quality levels in the area are listed as “moderate.” This was confirmed by Deer Park emergency officials, who identified that as of 5:30 a.m. Monday morning, no air quality readings “have exceeded action levels,” as a result of the fire. Although low levels of particulate matter were detected, an Intercontinental Terminals Company news release said that a “single volatile organic compound detection” has been discovered approximately 6 miles southwest of their facility. That being said, ITC has reported that the air quality readings are presently below hazardous levels. 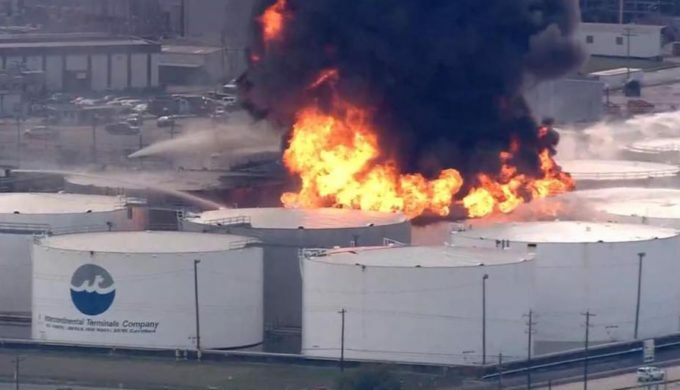 According to a release from ITC, the chemicals retained in many of the tanks involved in the fire are used in the making of base oil, which is used in machine lubricants and finished gasoline. Another tank contained Toluene, which is used in the nail polish remover, paint thinner, and some glues. 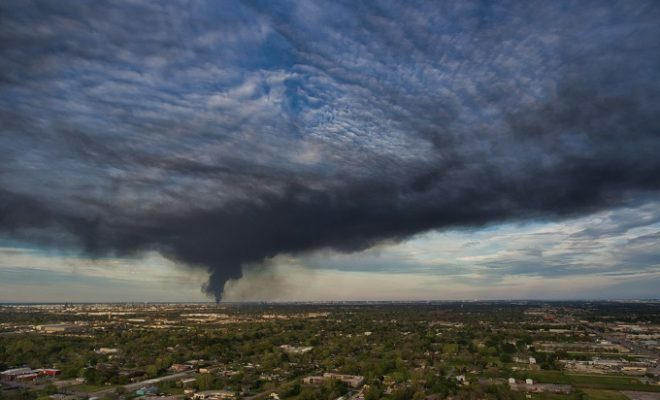 The first two tanks which caught fire contained Naptha and Xylene, both of which are used in the production of gasoline. Naptha has been known to irritate the throat and nasal passages when breathed in, according to earlier reports, and when it’s exposed to open flame, poisonous gases are produced. 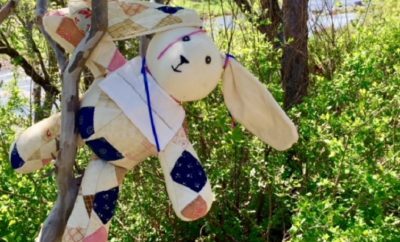 At present, parts of Independence Parkway have been closed until further notice, while sections of State Highway 225 have since re-opened, according to Deer Park officials. In the interim, Deer Park ISD and La Porte ISD have closed all campuses today, and the former has also canceled all after-school activities. Efforts to stop the fire using a foam retardant were maintained throughout Sunday, March 17. 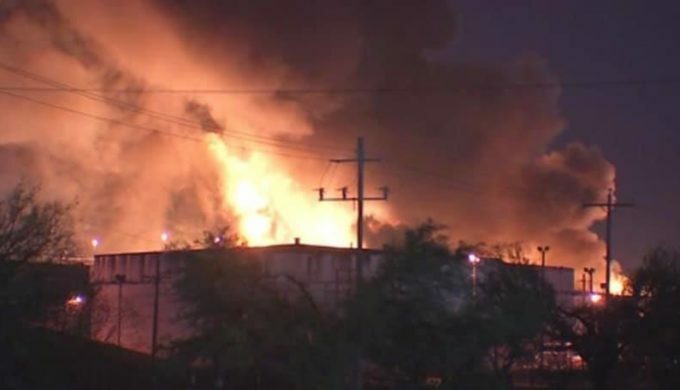 By early Monday morning, seven of the 242 tanks at the Deer Park Facility were aflame, with the eighth tank catching fire prior to 5:30 a.m. It’s the second fire in two days to take place at a Houston-area petrochemical facility. The ExxonMobil plant in Baytown was the scene of a fire which started on Saturday, March 16, and was contained. Our information is current as of 11:15 a.m. on Monday, but check news reports for the latest developments.